Things to make your bike go fast. This is the bike Honda should have built. 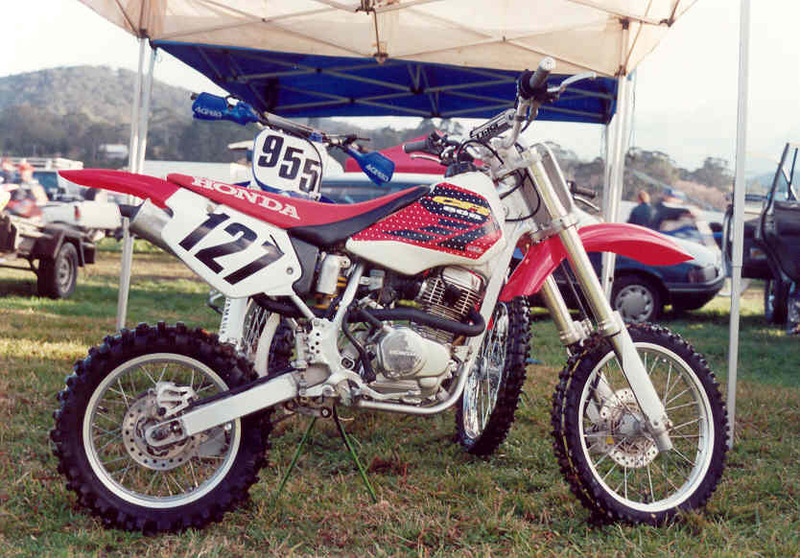 Its a Honda CR80 fitted with a XR100 motor. The CRF100 was first riden by Matt in 2002, then Taylor in 2003 rode it and now Tyrone is racing this bike for ACS Racing. The pits at the CRF's first race. 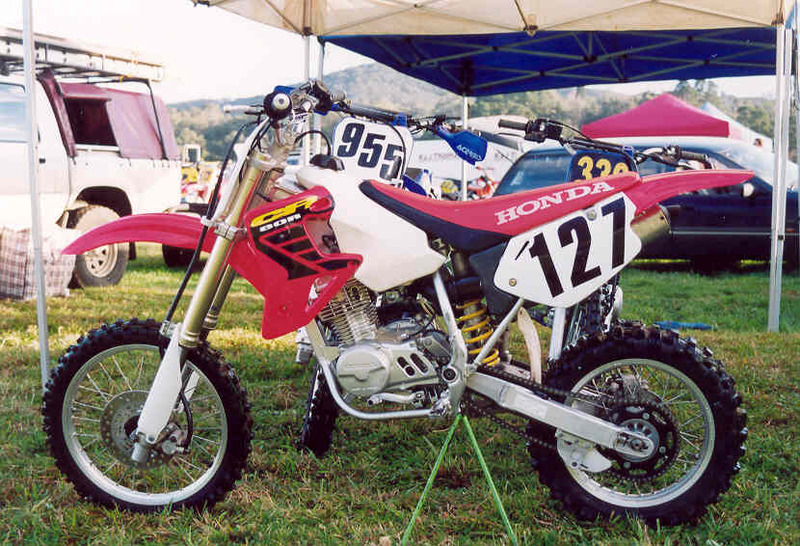 The Honda CRF80/100 was built in 2002 in 4 weeks. 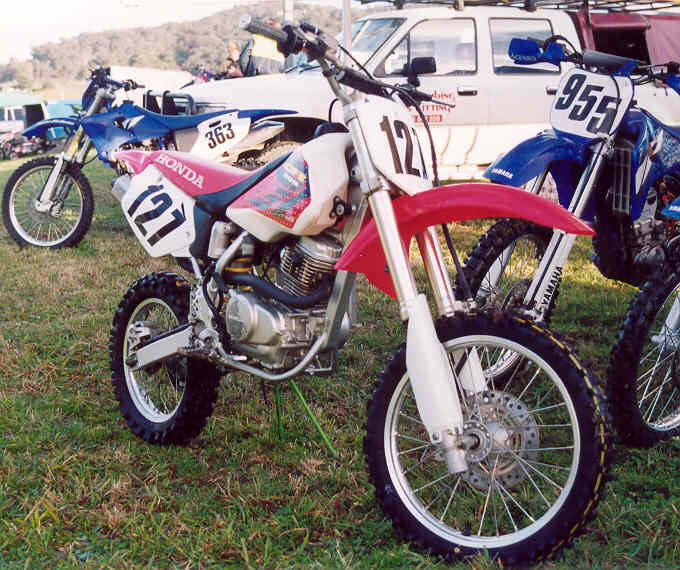 It comprised a small wheel Honda CR80 frame with a Honda XR80 or XR100 motor. In May 2003 it grew up and became a big wheel or "Expert" bike. It is light, handles well and is easy to ride which makes it competitive.